Ever want to skip washing and styling your hair? Well, I’ve probably gotten a bit too comfortable with it. If you are following @brekingglassgirl on Instagram or Facebook, then you know I am a fan of Drybar. While that is my place of choice any salon that offers blowouts can seriously change your day. At work, I like to look polished and poised and sometimes my hair just doesn’t cooperate. I have naturally curly and frizzy hair (thank you, mom and dad). And like most people, I want the opposite of what I have. You’d think that after approximately 7,300 days of using a flat iron, I’d know how to manage my hair. I don’t. From conversations I’ve had around the office, I know I’m not alone. When I have an event, meeting or occasion I don’t hesitate to get my hair blown out. Why? It adds a pep to my step. I feel like I have extra confidence and present myself differently. Whether I do or not, I don’t really know – but having my hair done makes me feel different. The feeling I get it worth every penny. 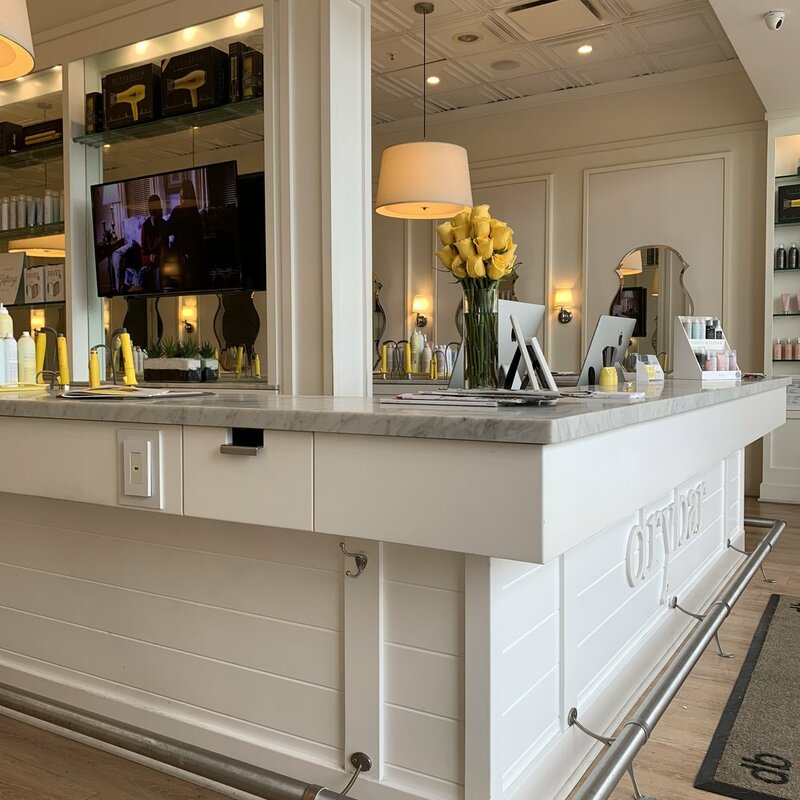 Never been to the Drybar? Enter at your own risk… it’s addicting! Plus, the company was started by on bad a** boss lady @alliwebb. They have a great ambiance. You can have a beverage like a mimosa, win, tea or coffee while your hair is styled. Not to mention the products they use are great and their hair stylists are literally pros and blow drying and styling. The pictures on Breaking Glass Girl show a vintage Hollywood hairdo that I had styled at Drybar. They play chick flicks, so you can let the day melt away as you sit back and relax. Or it’s a great time to catch up on email or social. I’ve even written a blog post during my appointment. Favorite Style: The Manhattan (sleek & straight) – I get the most wear out of it. Pro tip: Blowouts aren’t cheap! Invest in a good quality dry shampoo. It will extend your blow out longer than you thought possible. 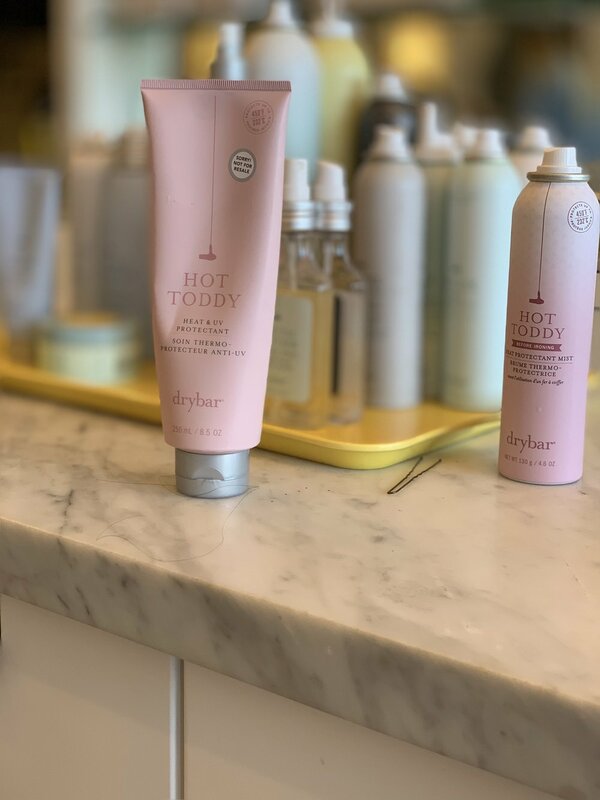 Been to the Drybar? Share your experience. Or let us know what you do to put forth your A game. Love the spray version of Hot Toddy!